Want to achieve the results of a facelift, without actually going under the knife? Well, now you can. 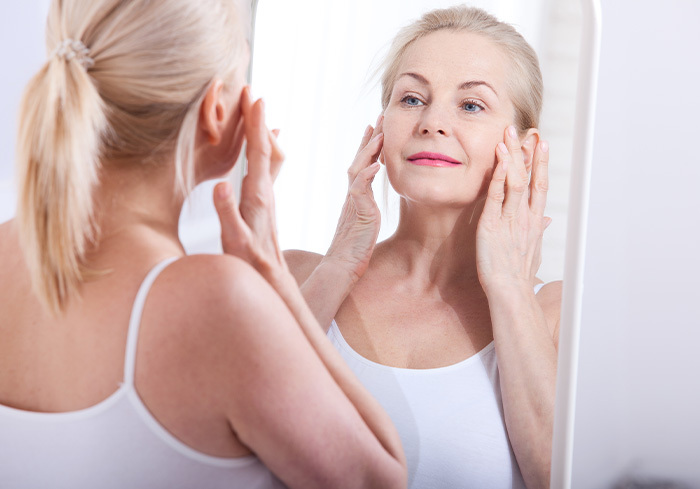 At Artisan, we have two non-invasive treatments that can help you to achieve all the benefits of a surgical facelift, without the expensive procedure and long and painful recovery. This treatment is ideal for anyone looking to instantly reverse the signs of ageing. A thread lift is a type of cosmetic injectable that treats facial sagging caused by ageing. The treatment is ideal for reducing jowls and strong nasolabial folds, as well as evening out the jawline and restoring lost facial volume. The treatment involves placing a dissolvable thread containing poly-L-lactic acid (PLLA) underneath the skin using a canula and a needle. Once inserted, the threads are fixed to certain points of the face and then pulled upwards to immediately lift the skin. The PLLA also works to gradually stimulate new collagen production, which results in a lifted, plumper and more youthful complexion. The best part? Results are visible immediately and there’s no downtime. Results also last up to 12 months as the threads naturally dissolve and are broken down by your body. There is a bit of downtime involved with Profound of between five to seven days but the results are well worth it! While they aren’t as instant as a thread lift, results from Profound are dramatic. Clinical studies showed a 100% response rate for reducing the appearance of fine lines and wrinkles. They also showed a 95% response rate for improving skin laxity. Generally, results take approximately six to eight weeks to appear with optimum results at three to six months which last for more than 12 months.